Recently I was sent some outfits from Lark Adventure Wear to try out for review. I was excited to try them on Apple as she had tested their line a couple months back when they were in sample stage. The Lark Adventure Wear is made from an eco-friendly, moisture wicking fabric. The fabric has been carefully made to meet Oeko-Tex® 100 standards to be certified. 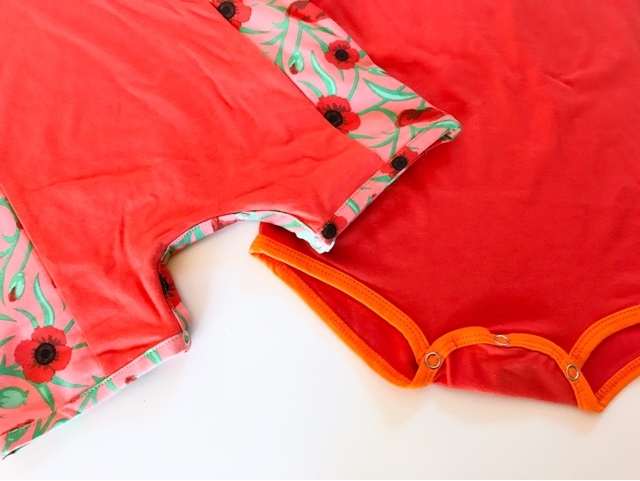 The soft fabric is made from a blend of bamboo and cotton. Lark is made by a mom who knew how important comfort is. It was important to Pallavi Patil that she created clothes that would be breathable and sweat free. 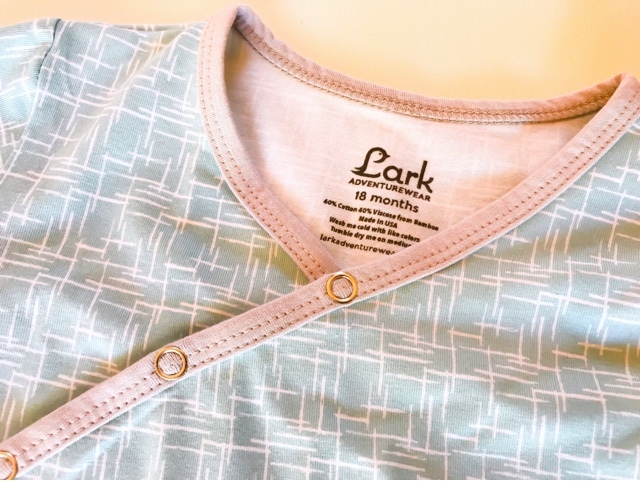 There are no synthetic fabrics or chemical finishes to create the sweat free Lark fabric. 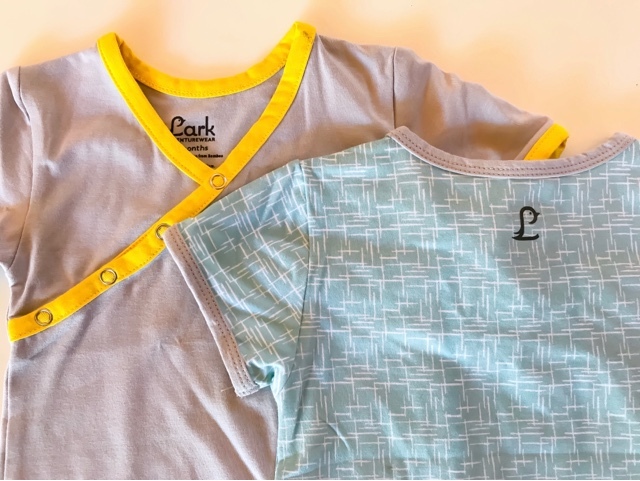 Lark is designed to wick away moisture from babies and toddlers. 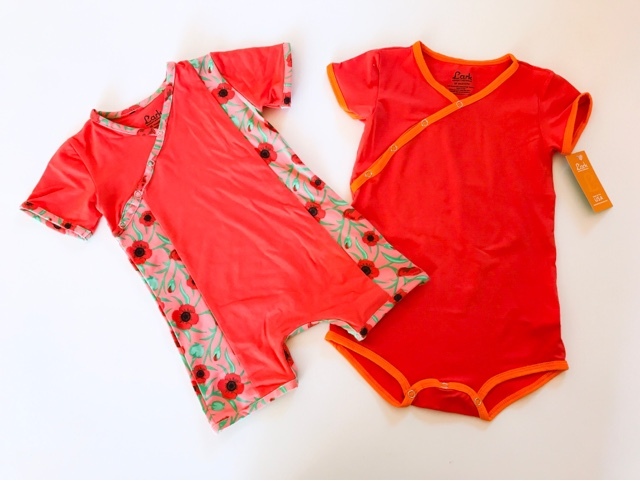 It is made as an activewear for little ones but essentially will be used much more than that. 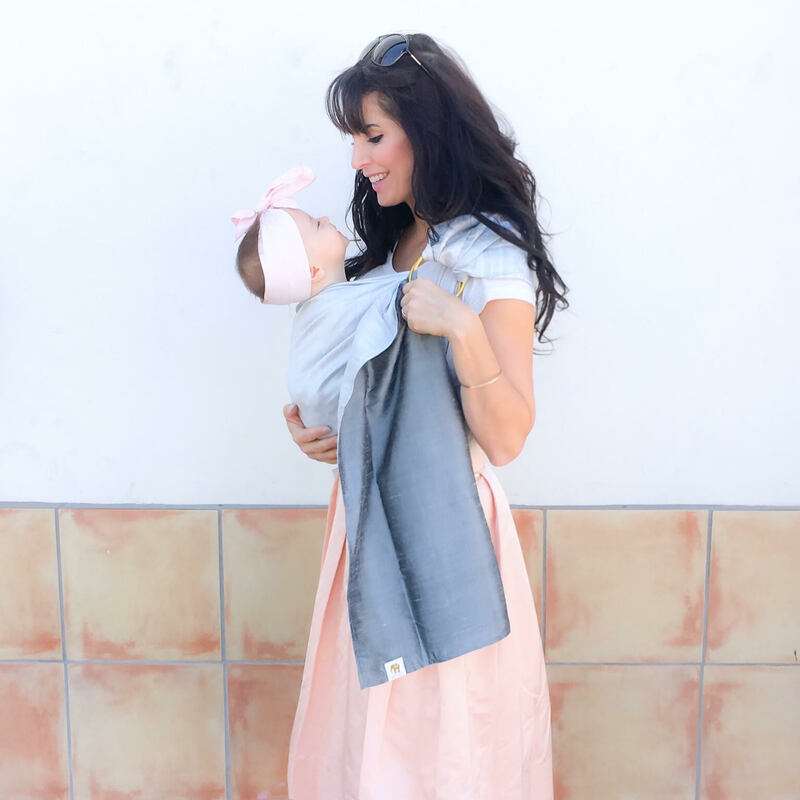 It simply comfortable and you will feel happy knowing your putting your baby in something they can crawl, move and run in without restriction. 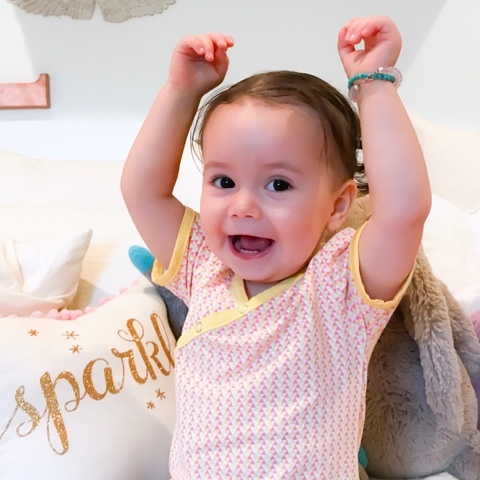 When they tire there isn't a need to change them because there aren't those tight elastics that can dig into tummies or scratchy fabrics bothering them. Apple wearing the bodysuit in 18 months. The cute back logo Lark. After trying on the outfits I was really happy with the great fit. The snaps were easy to use and stylishly designed with the side angle closure. They have the crotch snap opening for easy diaper changes. The body wasn't too wide so it looked neat and cute on. I find some rompers are made so wide they can look sloppy. 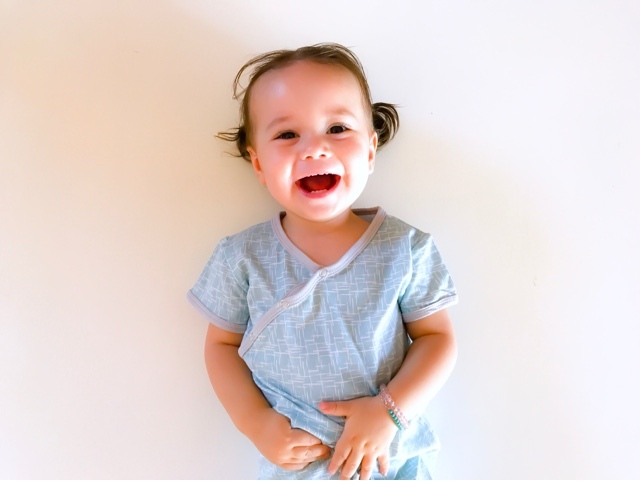 The onsie shirts are a generous length that will give lots of room to grow. 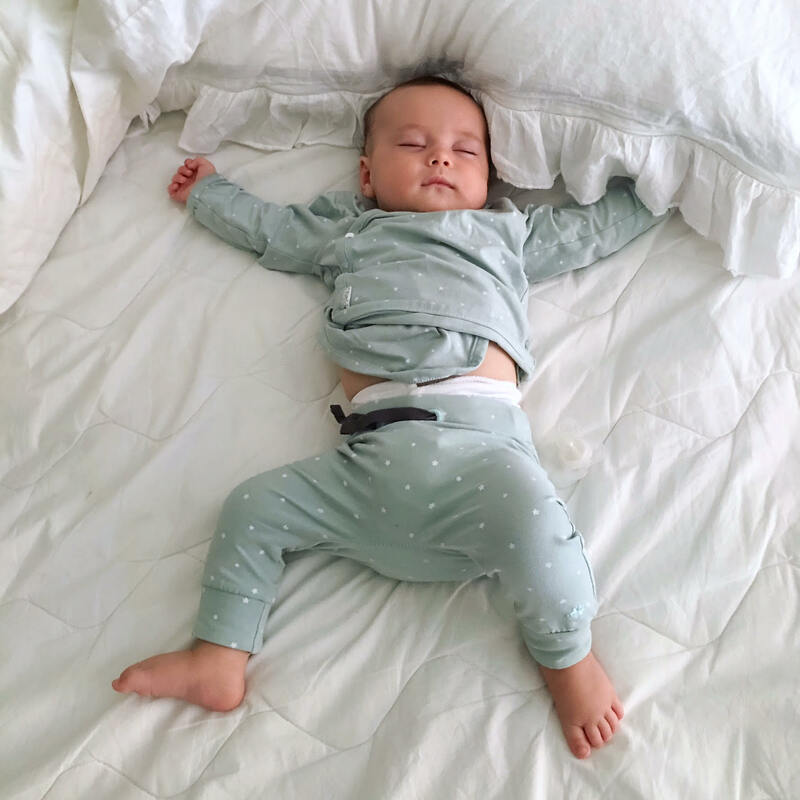 They have full zipper access sleepers for parents that want quick and simple zips. The onsie top shown on. Generous length for her size. I love that! Nothing worse than ordering clothing that comes way too small! Lark Adventure Wear has bright fun colors available. 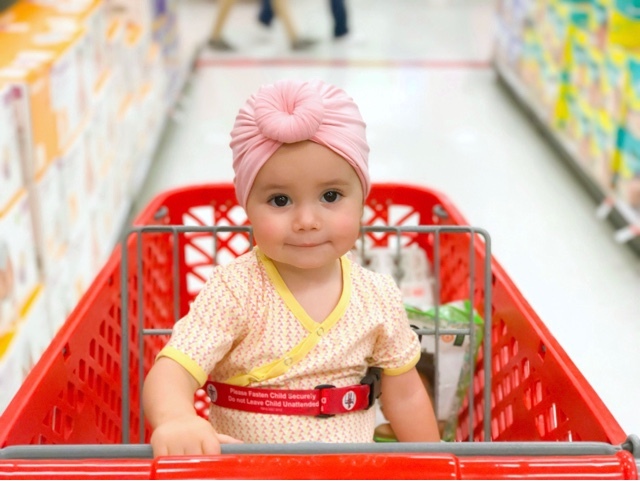 They are a refreshing change for baby clothes. The combination of prints and contrast trims make them stand out! The romper on the left and onsie style compared. I love the way the neck style is! This is my favorite combo of colors. Yellow and pink are perfect together! I swear most of Apple's wardrobe are these colors. Close up of the neckline and body fit. Tag free for extra soft comfort. Making this a great option for sleeping in the summer. So far the outfits have washed great! They kept that soft stretchy comfort that I liked from the start.